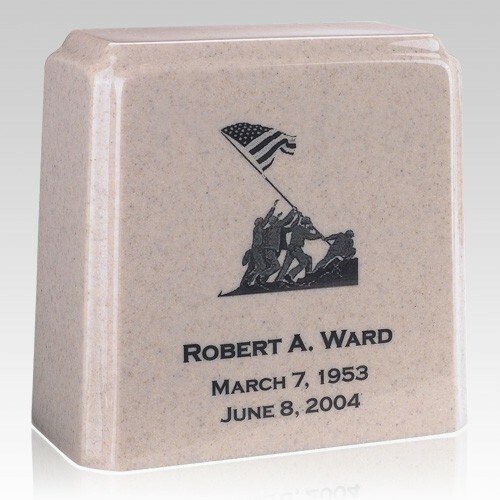 The Tablet Niche Cream Marble Urn is made from cultured marble material. It is an exquisite urn and even used as urn vault, perfect for home display or burial. A great urn for your loved one. "Besides making an online order, I had a question. I was able to speak to a kind and friendly customer service representative. This person was patient and extremely helpful. This was a hard time for me. I appreciate the help."